Prayer is all about carrying burdens, not only the burdens of people but the burdens of God. He calls us to be burden bearers with Him for people, for the sake of His kingdom. Jesus was and is full of compassion toward us too. While He was on this earth He was always going about from city to city preaching and teaching God’s good news; and He was healing all who were sick and diseased. And when He saw the multitudes He was moved with compassion for them, because they were weary and scattered, like sheep without a shepherd (Matt. 9:35-36). And now, while in heaven, Jesus still sympathizes with all our weaknesses, and gives us grace and mercy whenever we need it and ask Him for it (Heb. 4:15-16). Moreover, the Holy Spirit cares for us too. He is constantly interceding for us with groans, which cannot be expressed in words (Rom. 8:26). No Christian has fully understood the burden on the heart of the Holy Spirit as He longs for, loves, and identifies with all the sufferings, heartaches, and heart-burdens of Christians across the world. There is never a discouragement, a hidden tear, or an unspoken pain that the Holy Spirit does not feel completely and personally. Never an injustice, a sorrow, or a heartbreak that the tender Holy Spirit does not suffer with us. In addition…the Holy Spirit yearns and longs for all the broken lives, broken homes, hurting unsaved millions of the world. He feels their tragedy. He suffers from their hatred and violence. He carries the sufferings of our world upon His holy heart. Hence, God the Father, God the Son, and God the Holy Spirit identify with and are burdened with the sufferings and needs of all people. And He (The Triune God) longs to show us His loving compassion. God not only carries our burdens and longs to show us His love, but He calls us to share His holy yearnings for others. He calls us to be like the prophet Jeremiah who shared the yearnings of the weeping heart of God for His people. For the hurt of the daughter of my people I am hurt. I am mourning. Astonishment has taken hold of me. Is there no balm in Gilead, is there no physician there? Why then is there no recovery for the health of the daughter of my people? Oh, that my head were waters, and my eyes a fountain of tears, that I might weep day and night for the slain of the daughter of my people! This is true intercession—to suffer with God for the needs of others, to have the sacrificial spirit of Christ, a willingness to lay down our lives for our friends and bear their burdens. But we should not consider this ministry of burden bearing pure drudgery, or pure agony. For, though pain is involved, when we come before His throne with prayer concerns, we enter into a sweet fellowship with Him where He gives us His sweet rest. For His yoke is easy and His burden is light (Matt. 11:28-30). And why is it easy and why is there such rest? Very simply, because God is with us and He helps us. He may allow us to feel the pain of others for the sake of stirring our hearts to compassion for them, but He does not expect us to carry their burdens alone. And the joy and privilege we have of taking the sins and needs of others before the throne of God in prayer makes all the pain worth it. I like what Stephen J. Isham has said on this subject on His blog post: Bearing Each other’s Burdens. Chech it out. 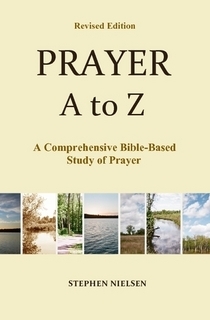 This entry was posted in Burden in Prayer, Prayer A to Z Excerpts and tagged compassion, Jeremiah, longsuffering, Matthew 9:35-36, Psalm 86:15, Wesley Duewel. Bookmark the permalink.